After several trips to Nepal in the late 1990’s and intense interactions with the Sherpa people of the Solu Khumbu or Everest region, a passion for the country and it’s people was ignited in Sally Hunsdorfer and thus The Himalayan Project was born with the mission to help raise critical support towards the preservation of the cultural traditions of the indigenous people of the Himalayas through education, community development and social outreach. In the spring of 2015, two earthquakes devastated Nepal. 8000 people died and millions were left homeless. In the Mount Everest region, the second earthquake demolished what was left standing after the first quake. THP swung into action and within two months had raised enough relief aid to enable the entire village of 58 homes to be rebuilt before the winter set in. Makeshift classrooms at the school were cobbled together from the refuse left after the earthquake. “Build Back Better” became the rallying cry from a group of young, energetic villagers who are forging ahead with plans for rebuilding the school and with a Master Plan in place that incorporates earthquake proof techniques and materials, THP is committed to raising the funds needed. THP is excited by the initiative of the local people, showing a resilience and an optimism that is quite unrivaled. Young people from the local area will be offered the opportunity to work and learn alongside skilled tradespeople and receive training in seismic-resistant building techniques. This on-site vocational training will help address the problems of labor shortages and bring much needed new skills and employment to the region. Since the school in Chaurikharka is the ONLY school in the Mt Everest region to provide a full education through Grade 12, this is a critical and most important project to embark on. Education means a future that gives everyone hope. The Himalayan Project is working to empower a population that is now grabbing the chance to move forward in a sustainable way that will define a healthy, integrated and engaged community. The School Management Committee and the reconstruction committee are working on a long term development plan for the construction of earthquake resistant buildings designed by engineers from Japan and Nepal. The committee has planned to construct the buildings in four different phases. PHASE 1: The committee has planned to construct the Secondary Block, Primary Block, Playground, Water Supply, Sewage and Toilets. PHASE 2: Boys and Girls Dormitories, Teacher Apartments, Science Lab, Computer Lab and Library. From Phase 1 the construction committee has completed 50% construction work of the secondary block, 80% of the primary block building materials have been transported to the construction site and 100% of the water supply and sewage materials have been purchased and transported to the construction site. From Phase 2, 90% of the building construction work of the boys and girls dormitories and teacher apartments have been completed. Phase 4 and 5 are still looking for donors!!! The Himalayan Project is working in collaboration with the Hillary Trust of New Zealand and the Naulekh Foundation of Switzerland. When completed, this school will serve as a model institution for most of Nepal. 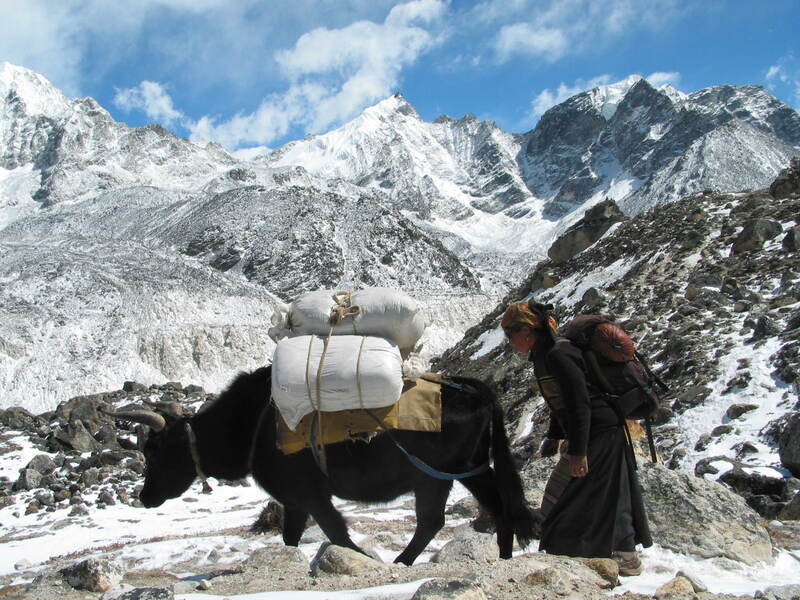 If you would like to help support the goals of The Himalayan Project, please donate here. Over the past 15 years THP has traveled to Nepal every year for several months, leading fund raising treks and delivering fleece jackets, hygiene and school supplies to extremely remote areas of Nepal. All of these supplies have been collected from American school children throughout New England after an interactive program called “A Day in the Life of a Nepali Child” which focuses on nurturing awareness and compassion for the plight and beauty of the Nepali culture. Additionally, THP has worked in collaboration with community leaders on building projects for communities in isolated, mountainous areas. For the past several years, THP’s primary focus has been on a school in the village of Chaurikharka in the Mt. Everest region. Founded initially by Sir Edmund Hillary after his successful ascent on Mt Everest in 1953, the school was originally meant to service 30 village children. Now, 63 years later, the school has grown to 400 students, many of whom walk 3-4 hours each way to school every day to attend classes. This ever increasing student population desperately needed an expanded infrastructure. THP and the village of Chaurikharka have worked tirelessly to build a school hall, a greenhouse that can provide fresh vegetables for the Hostel students, classrooms to accommodate the addition of Grades 11 and 12, a library replete with Nepali, Tibetan and English books and a complete renovation of the school cafeteria. Perhaps most importantly, THP has established a scholarship program for those students whose parents cannot afford the $350 annual expense. 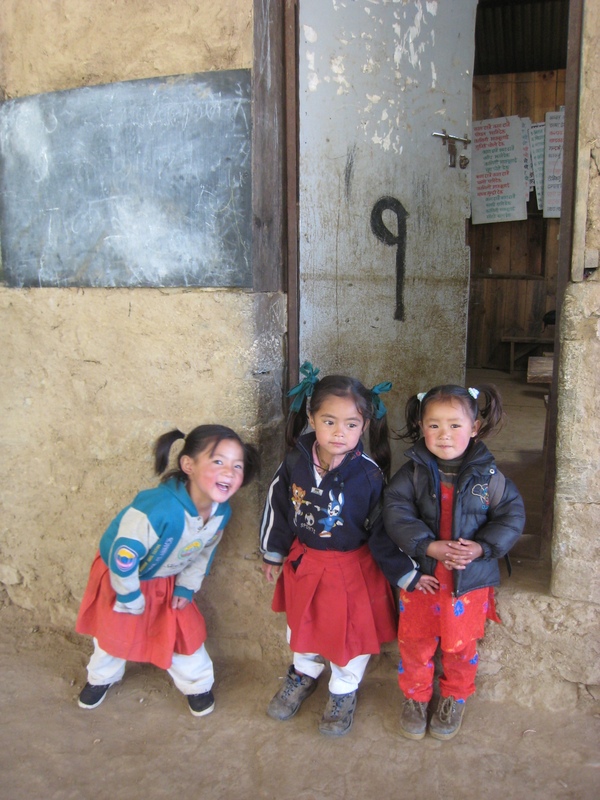 Education in Nepal is NOT a birthright. THP has also funded the construction of a Sherpa Cultural Center where the community is committed to creating an atmosphere that honors and values the Sherpa heritage, where the environment is honored and where teachers understand that each student has a vast and unique potential. The Center will nurture a spirit of self confidence, social responsibility, environmental awareness and cultural pride. The Himalayan Project was conceived out of an incredible passion that Sally Hunsdorfer experienced after many journeys to Nepal and intense interactions with the Sherpa people in the Solu Khumbu or Everest region. Taking care of an immediate need, Sally developed an interactive program called “A Day in the Life of a Nepali Child”, participating in schools throughout the Northeast and focusing on nurturing awareness and compassion among American school children for the plight and beauty of Nepali culture, At the end of each presentation, Sally asks students to donate any outgrown and unused fleece clothing which is then washed and packed into body sized duffle bags, flown to Kathmandu with members of The Himalayan Project team, and then finally carried by foot to extremely remote villages throughout Nepal. The Himalayan Project has also developed a pen pal initiative which aims to connect Nepali students with school children in America. Ten years ago as Sally was traveling back and forth to Nepal, she started a “dialogue” with the headmaster of a school in the village of Chaurikharka. This school, started by Sir Edmund Hillary to originally serve 30-50 local village children, is still only one of two schools in the Everest region that can provide a complete education through grade 12. However, many decades later, 350 children throughout the mountains trek up to 3-4 hours a day to attend classes or live “on site” in stone dormitories and return home to their villages during vacations. Headmaster Biruman Rai has persevered there for 25 years giving direction and vision in spite of minimal and unreliable government support. He has clung to his dreams as he has doggedly worked and watched them unfold all within the original 2 stone classroom buildings built by Edmund Hillary almost 60 years ago. The Himalayan Project has raised critical funds to support this dream of building a physical infrastructure to serve the immediate needs of an ever expanding student population. Over the years The Himalayan Project has funded the building of an enclosed hall to house the entire school under cover during the many months of the year when inclement weather reigns…..monsoons in the summer and snows in the winter. Along with this building project, The Himalayan Project has also funded a library replete with Nepali, Tibetan and English books, constructed classroom buildings for the addition of grades 11 and 12, renovated a school kitchen and cafeteria, and perhaps most importantly, initiated a scholarship fund for village children whose families cannot afford the $10-$20 per month that it costs to send a child to school. The Himalayan Project is on the cusp of moving to the next level with a dream to have this school become a model for the preservation of the Sherpa culture. The ancient, Buddhist traditions of the Sherpa culture are becoming minimized and forgotten within the larger framework of a country that is 80% Hindu. The Himalayan Project goal is to offer a university education to young Sherpa women who have successfully completed their SLC [School Leaving Certificate] and return to their communities in the Everest Region to teach and pass on in a formal way the song, dance, storytelling, language and cultural heritage of this ancient and vibrant culture. 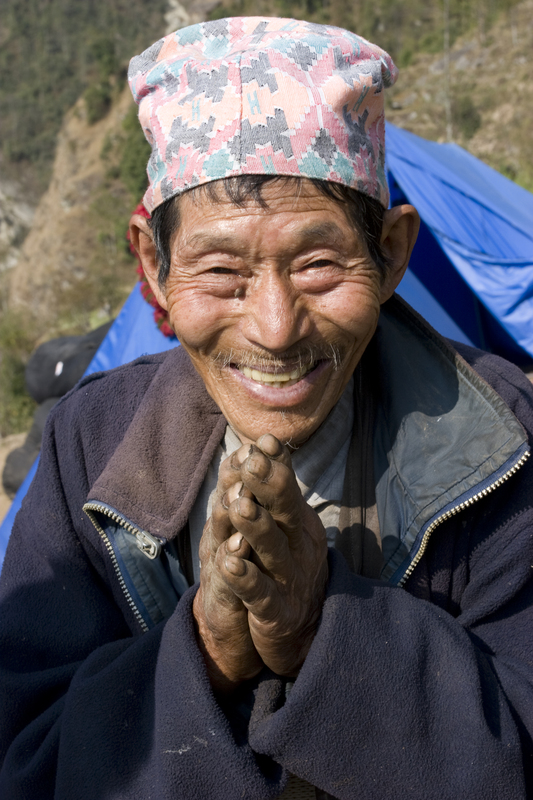 Traditionally the Sherpa people have become involved in the tourism and trekking industry and all the teachers in the Everest region are Hindus who are paid an extra stipend to leave their families from “down valley” and move to the mountains to teach for a part of every school year. 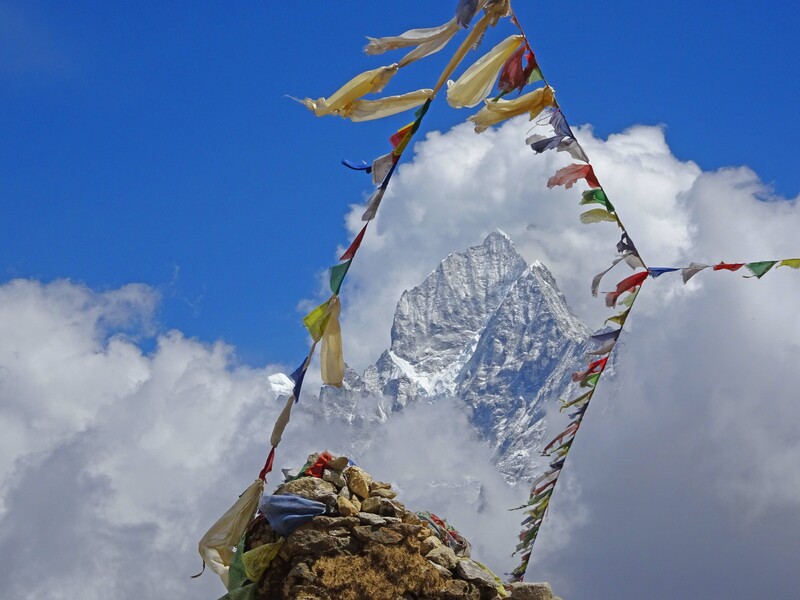 The Himalayan Project goal is to secure an endowment that would produce a yearly income to provide for several university tuitions and salaries for prepared young female Sherpa teachers. Help The Himalayan Project and save some money while you shop online with the Gumdrop by Goodshop Browser app. This browser add-on will automatically search it’s vast database for coupons to apply to your purchases, and a percentage of what you spend at participating stores will be donated to The Himalayan Project. To date, Goodshop has saved shoppers more than $100 million and have raised more than $12 million for worthy causes. The app has been featured by Good Morning America, Oprah Magazine, and The New York Times, to name just a few. If you are planning on shopping online, please add the Gumdrop by Goodshop browser app for The Himalayan Project right now so that every purchase can help one of the people we are helping. It’s easy! Simply click here to add it to your browser. Speak for the Trees works to improve the size and health of the urban tree canopy in the greater Boston area. Green Jobs, Green Economy Initiative and P.O.W.E.R. The Marion Institute has to address help create a sustainable green economy in the Southcoast.